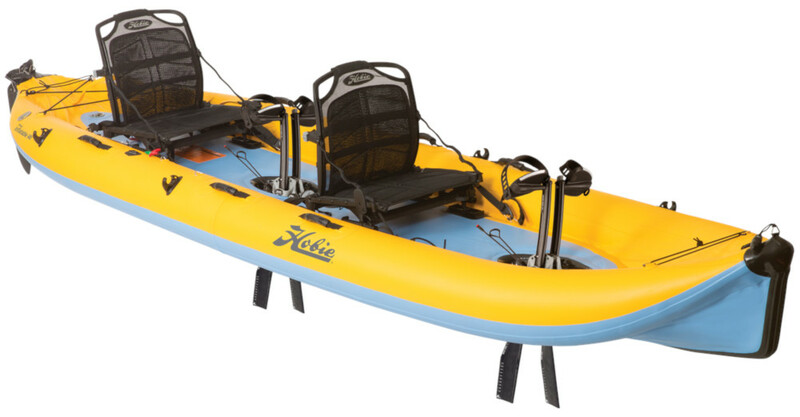 The i14T Tandem inflatable kayak featuring Dual Hobie Mirage Drive with Hobies Vantage CTi Seats providing the ulimate in comfort. Two MirageDrives simplify locomotion, and an optional Sail kit enables you to enjoy everything from a sunrise paddle to an all-day, multi-sport adventure. The i14T’s wheeled travel bag and its pump make hauling, storing and inflating the boat a snap. Its rugged, PVC-vinyl build and rubberized underside—coupled with its easy-to-grip carrying handles—facilitate smooth launching, landing and portaging. We offer a delivery service for the Hobie i14t to home and work addresses throughout England, Wales, Scotland, Northern Ireland & Ireland. Buy a Hobie i14t online from our website and collect from our store in Newhaven, East Sussex or from any branch within the Canoe Shops Group. There is no cost associated with this*. 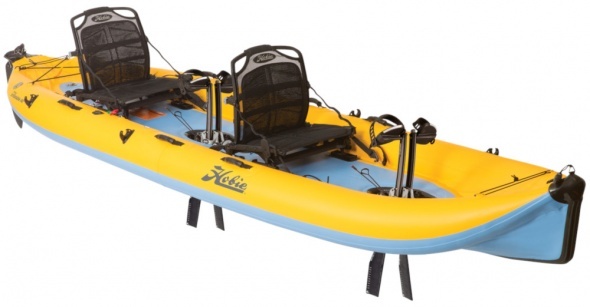 We can now offer 0% Finance on the Hobie i14t (0% APR Representitive).